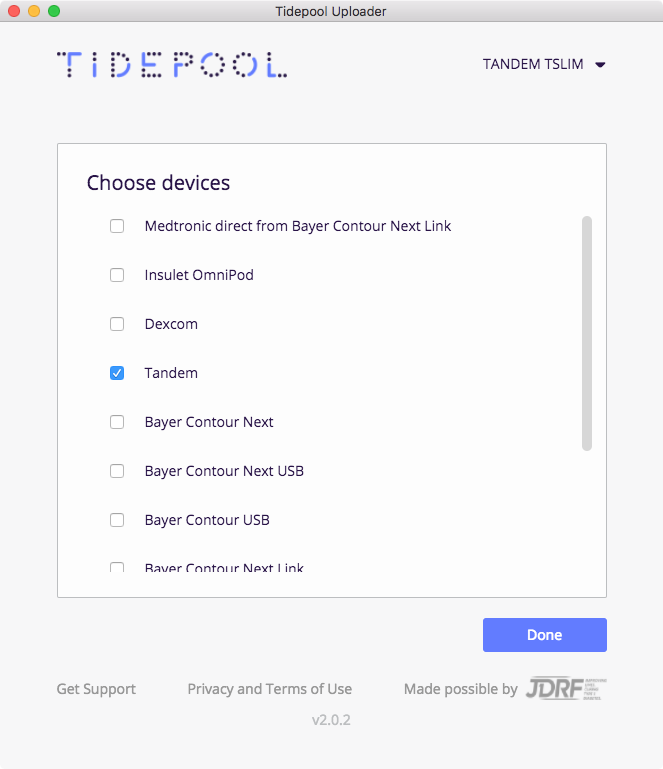 A Tandem Insulin Pump - Tidepool is compatible with t:slim, t:slim G4, t:flex, and t:slim X2 insulin pumps. A micro-USB cable - this is a common cable and one should have come with your pump. Please note: some micro-USB cables are only able to charge devices, and do not transfer data. If your cable is not working to upload your device, please try another cable. Confirm "Tandem" is one of your Devices. You can change your devices by selecting "Choose Devices" from the menu under your name. Click "Upload" to upload your data. Leaving the Uploader selected on your computer (in front of other windows) will allow it to execute the upload more quickly. 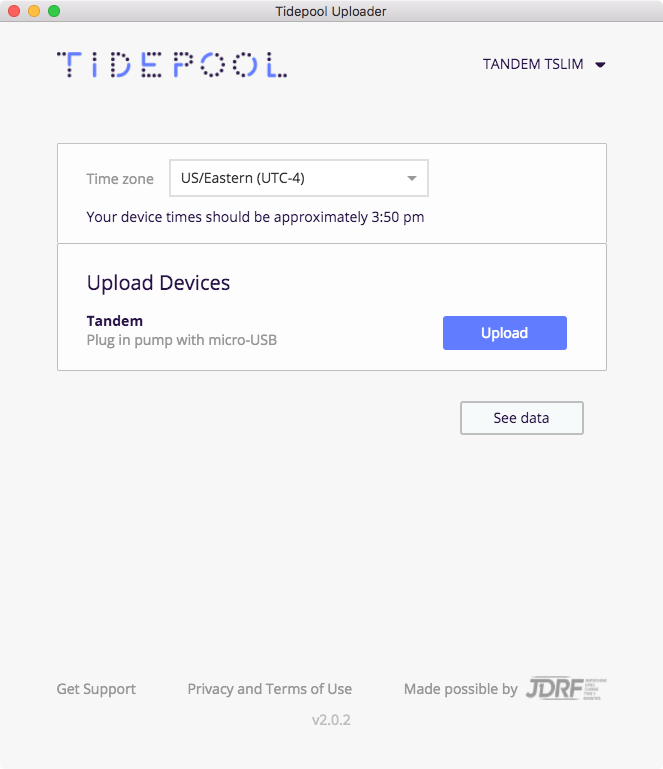 If you are using a Tandem t:slim G4 insulin pump or t:slim X2 insulin pump that also displays Dexcom G5 or Dexcom G6 data, your CGM AND insulin pump data will upload together when you connect and upload your Tandem pump to Tidepool.